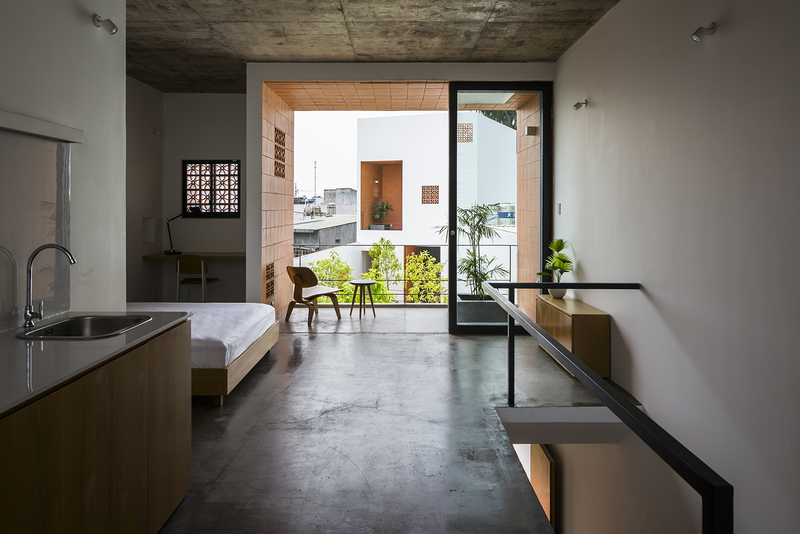 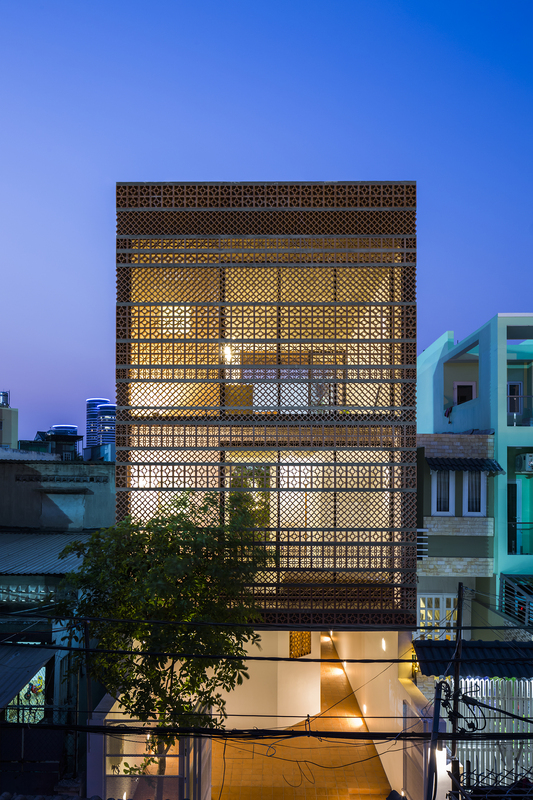 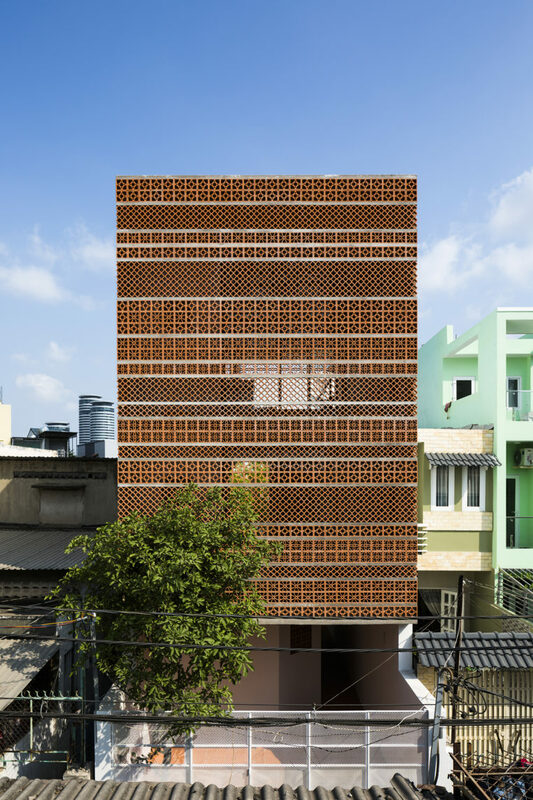 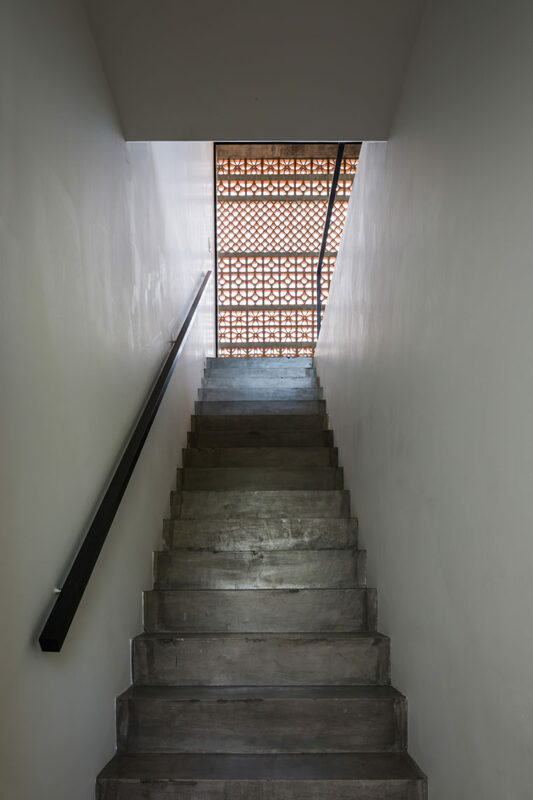 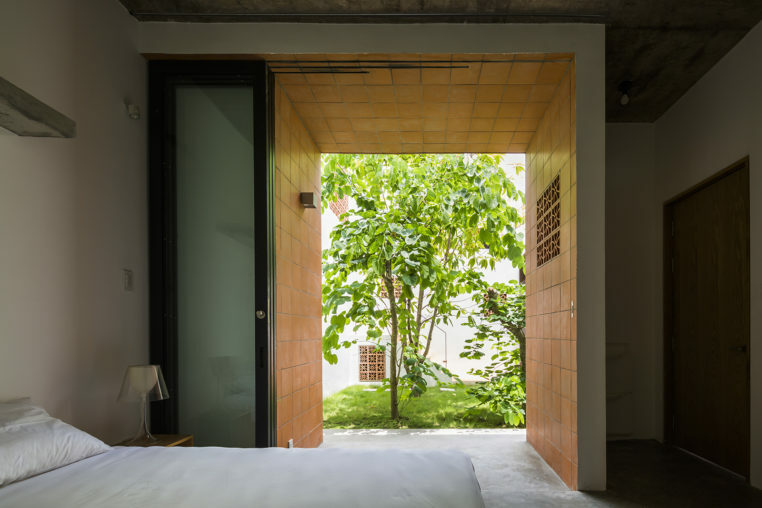 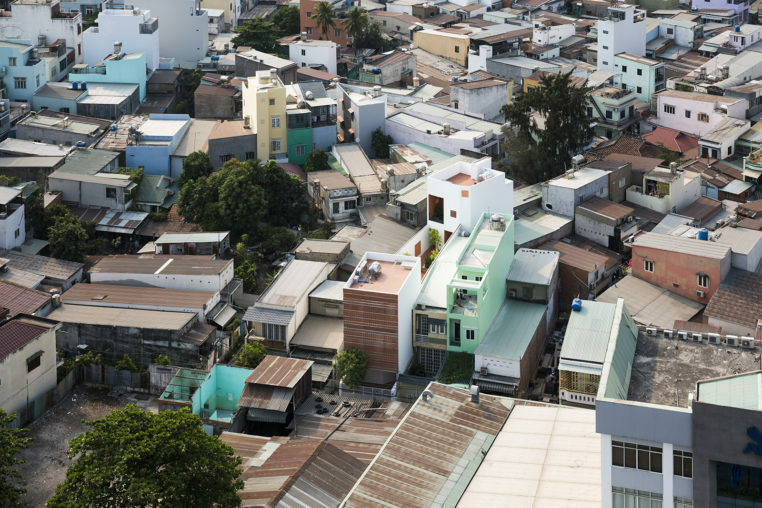 The project is about a small apartment with seven rooms in Binh Thanh District, a nearly central area in Ho Chi Minh City. 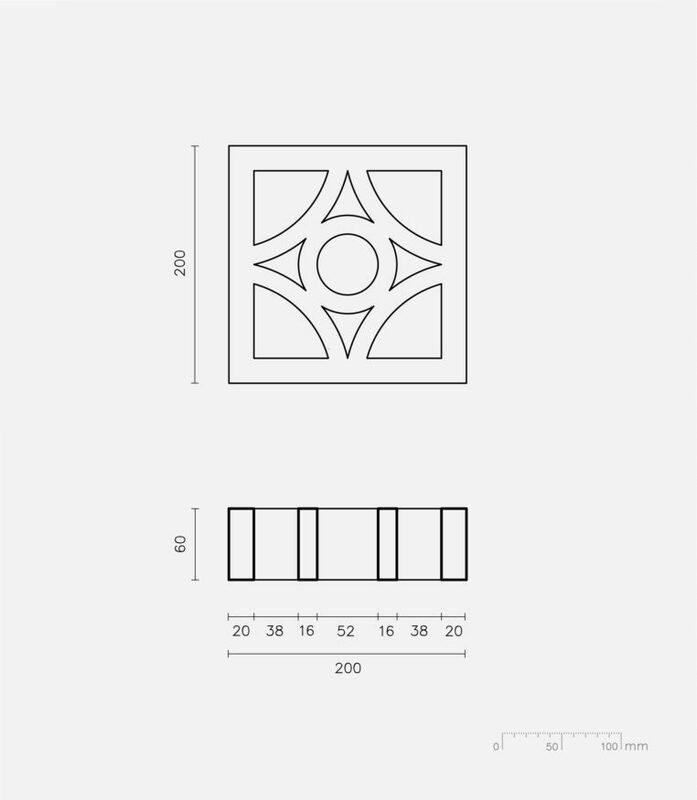 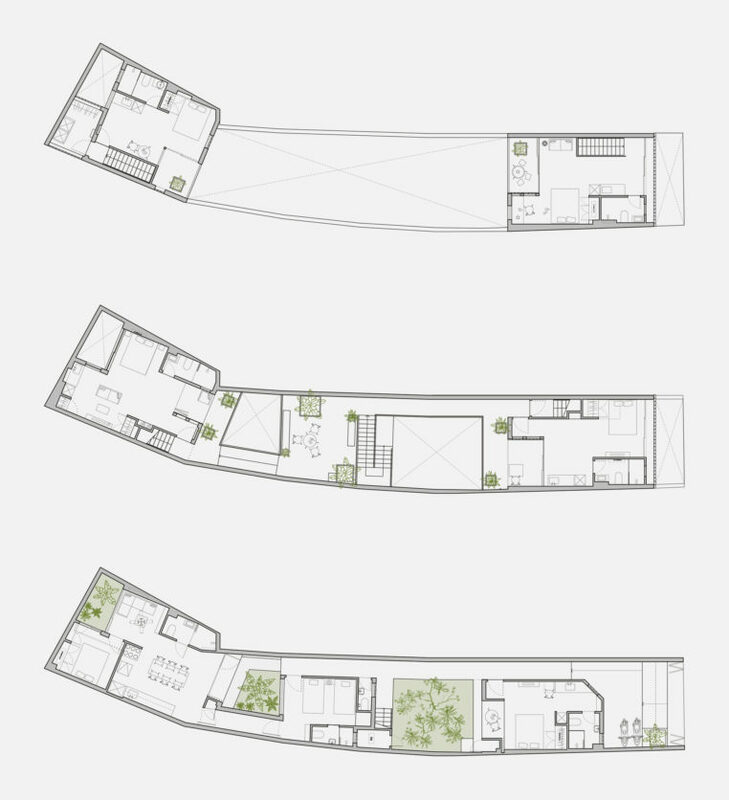 The site has unique slightly curved shape by merging several plots of different sizes with the total length of around 40 meters. 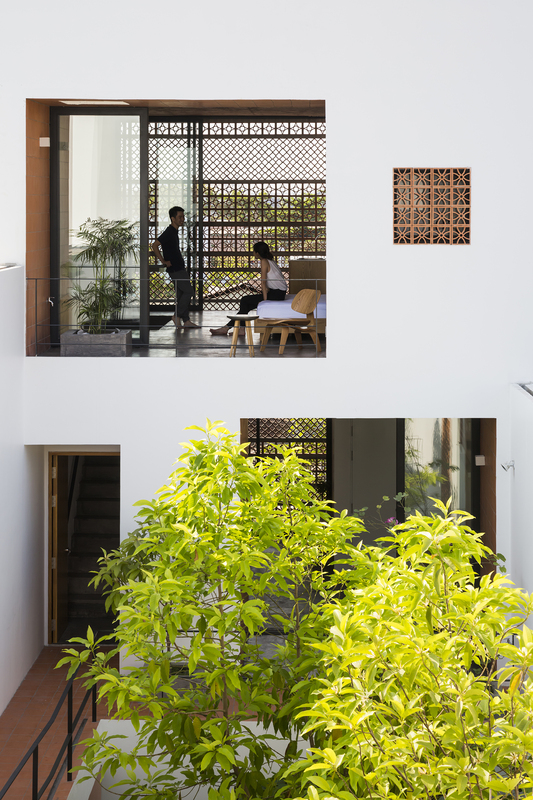 It is located in a high density area surrounded by two or three-storey buildings. 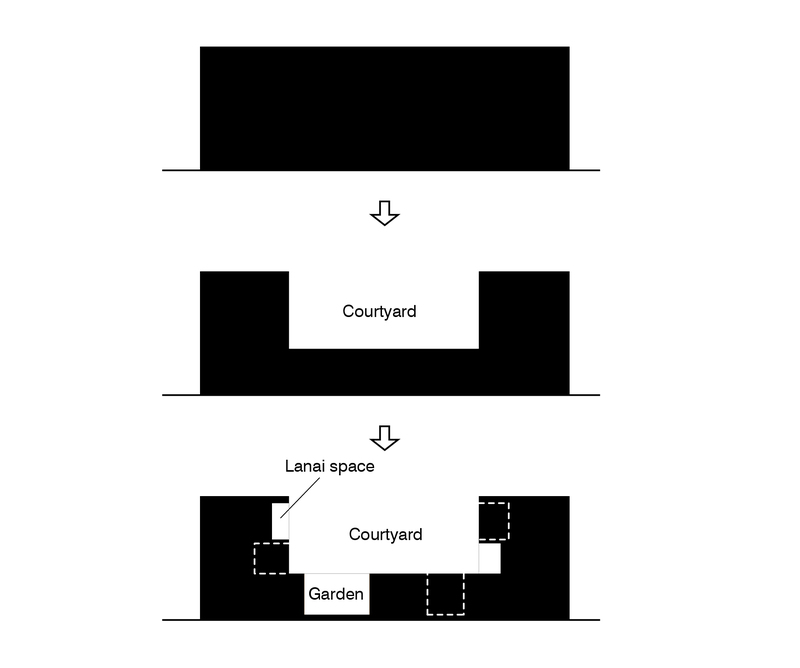 On initial inspection of the site, we felt that there is much potential due to: “remaining urban open space / void created haphazardly in the crowded city”. 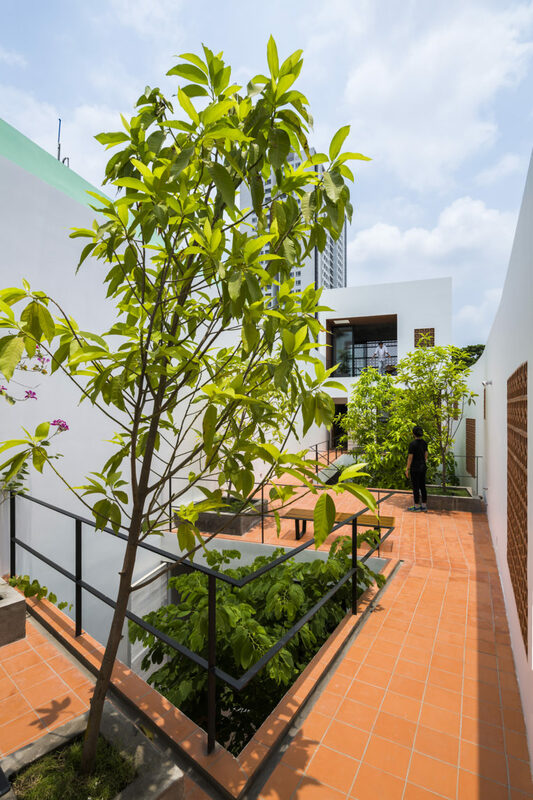 Therefore, on careful consideration, we concluded that this open ‘urban’ space can be utilized to design both an attractive and well-designed open spaced building harnessing the natural daylight and wind. 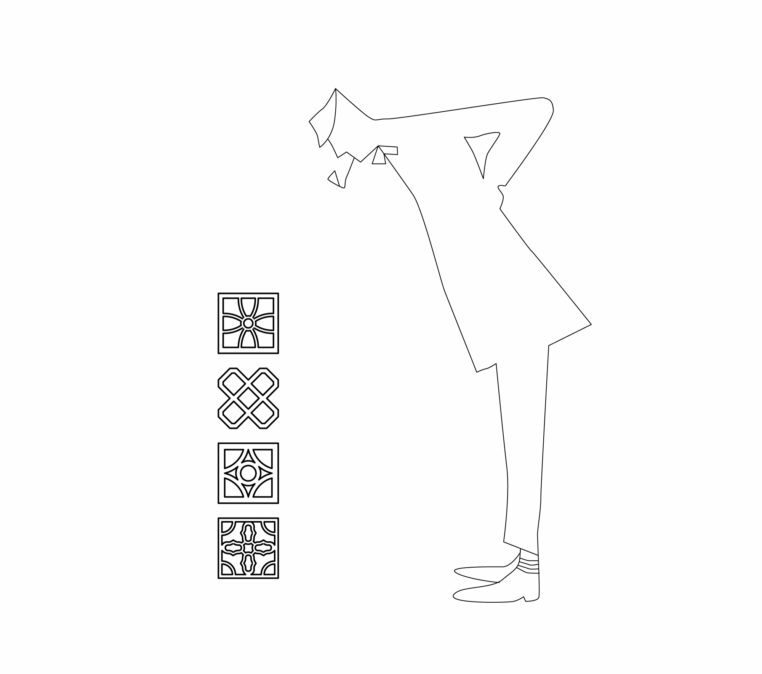 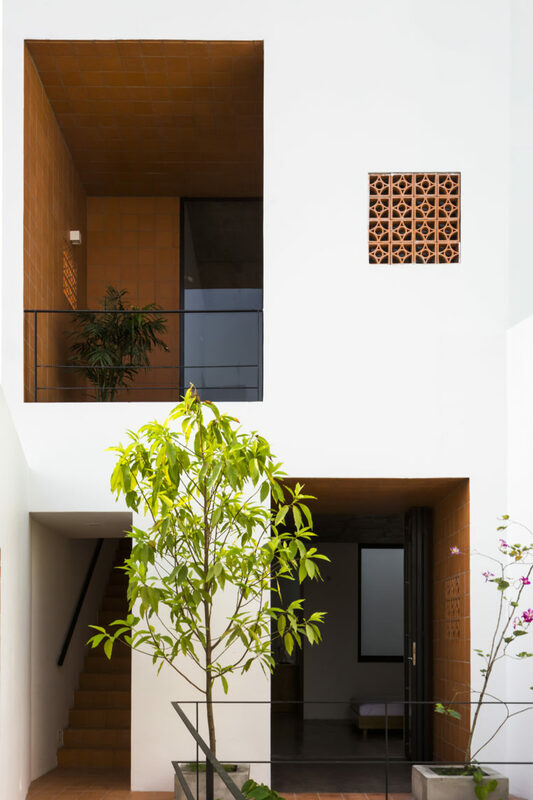 The volume of the building is formed by optimization of the licensed construction boundary according to building regulation. 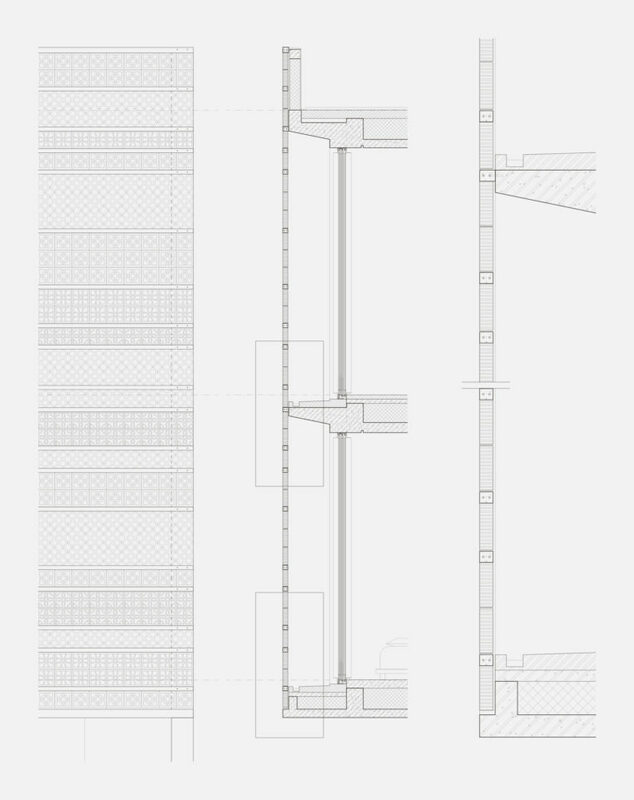 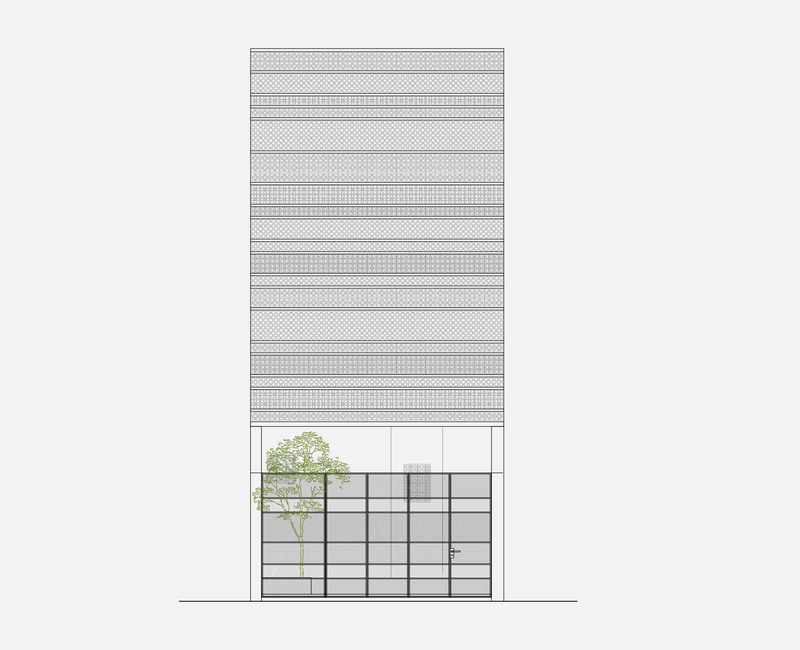 Based on the study on the ‘cross-sectional’ perspective, a large open courtyard is placed in the middle of the building and a U-shaped solid mass is created by two ‘towers’ with the connection at the ground floor. Furthermore, we create a void for connecting the garden-space on ground floor to the open-area courtyard. In addition, we prepared the “Lanai (=semi-outdoor space)” for each room, exposed to the courtyard. 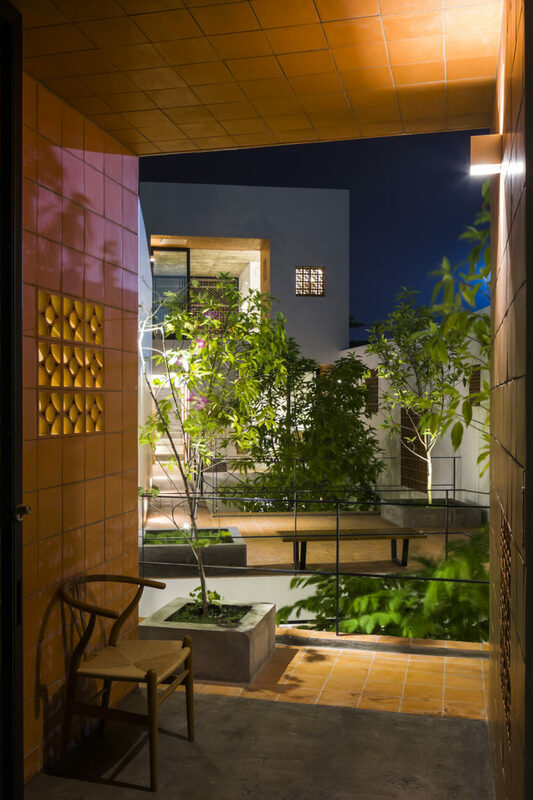 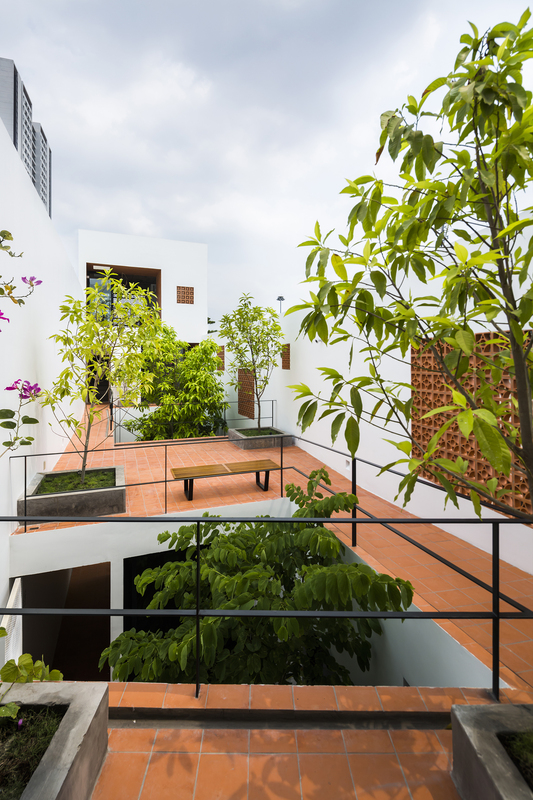 These outside spaces (open-area courtyard, garden space, and Lanai) are organically connected each other making use of the “fresh” air-circulation and deep day lighting penetration for whole of the building. 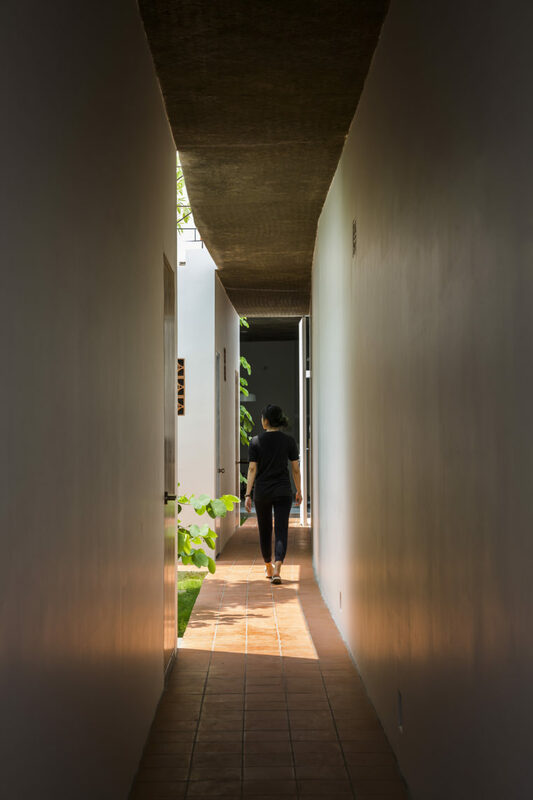 A lot of outside space enhances occupants’ living style with a deep connection to the outdoor found in tropical areas. 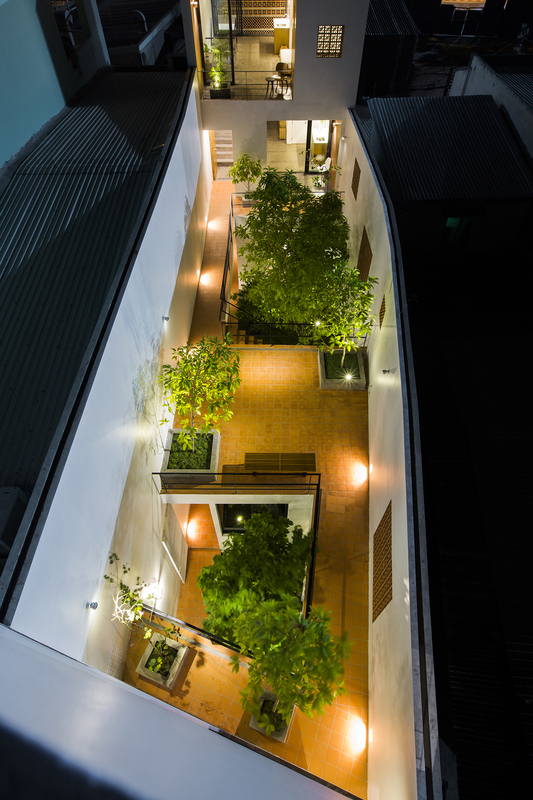 In the outside space, we planted a lot of greenery making use of the natural abundance of natural daylight and natural ventilation, creating an enjoyable outdoor space. 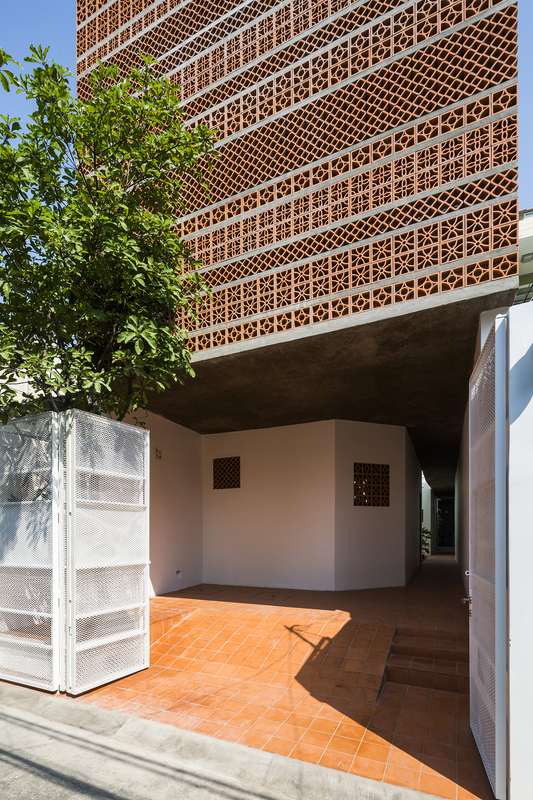 Finally, according to the client’s request, we tried to utilize the local materials in Vietnam for low cost construction. 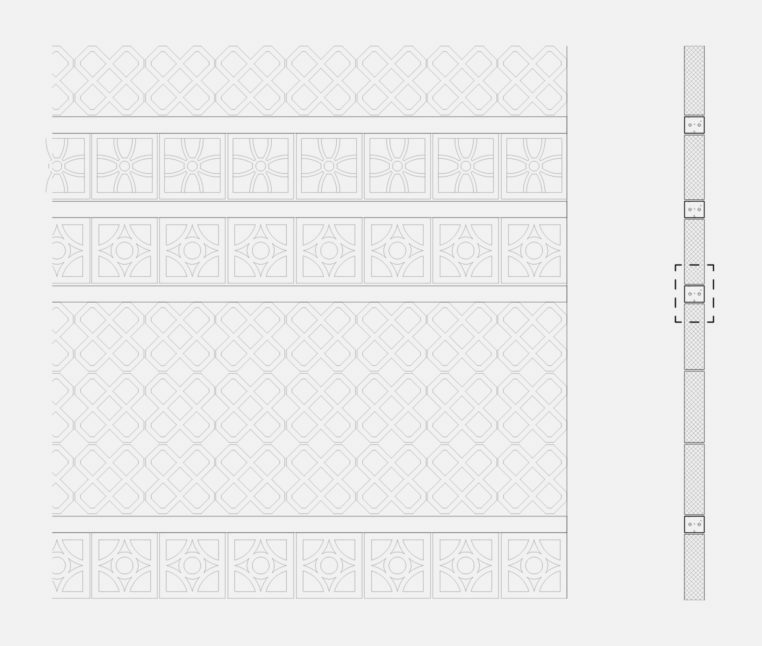 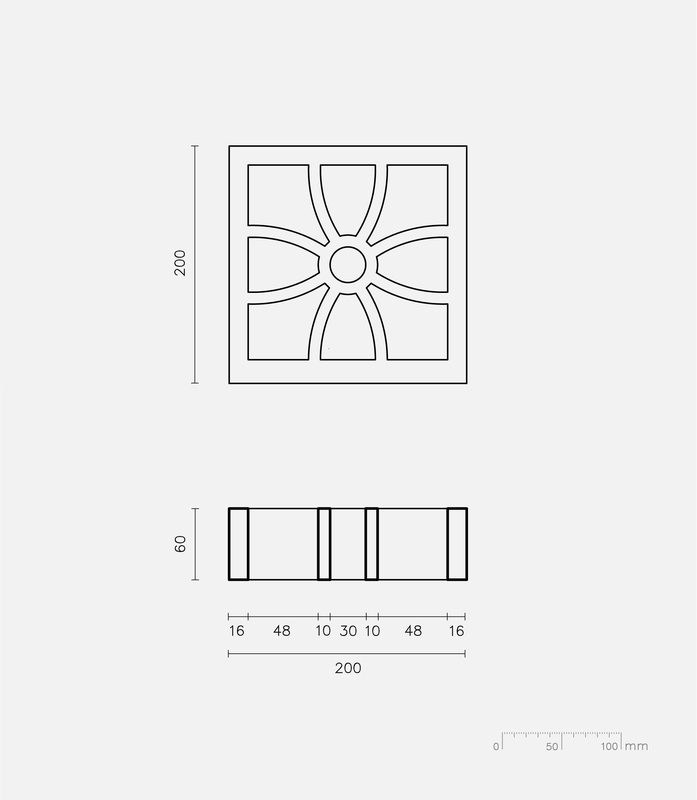 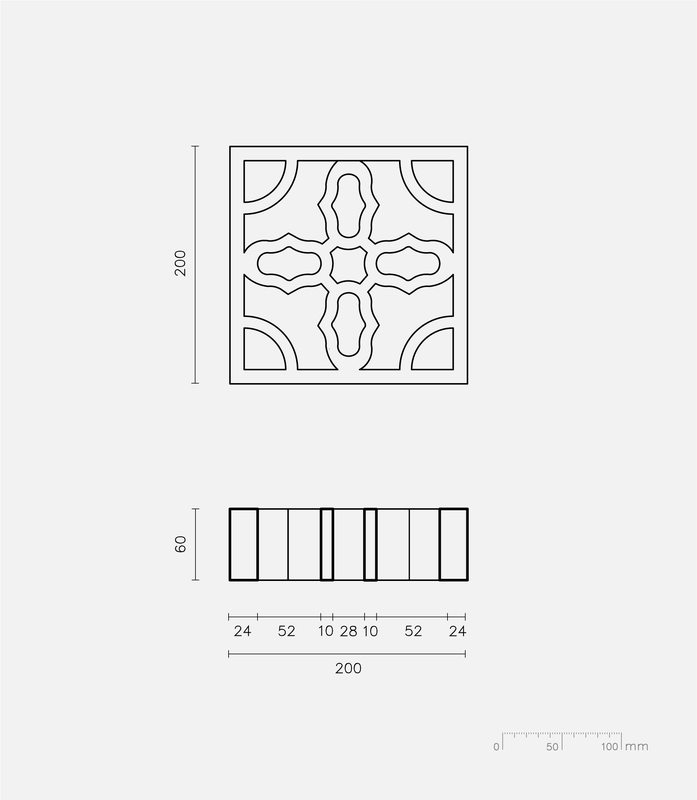 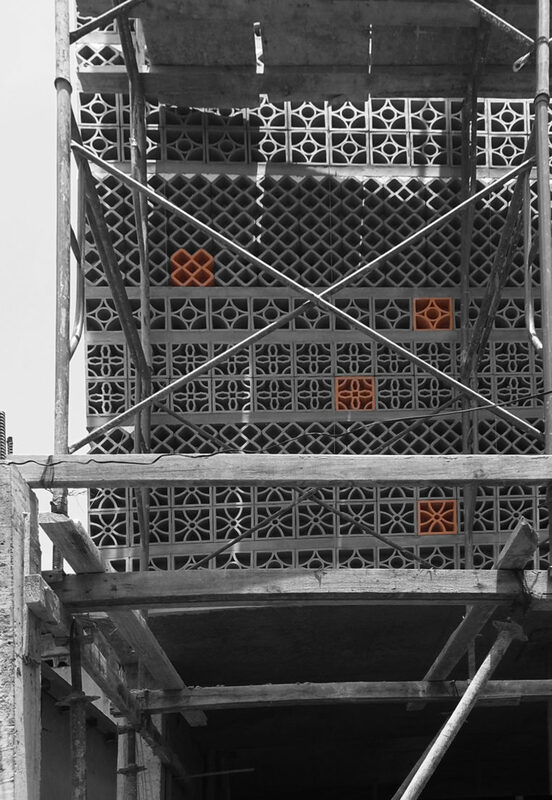 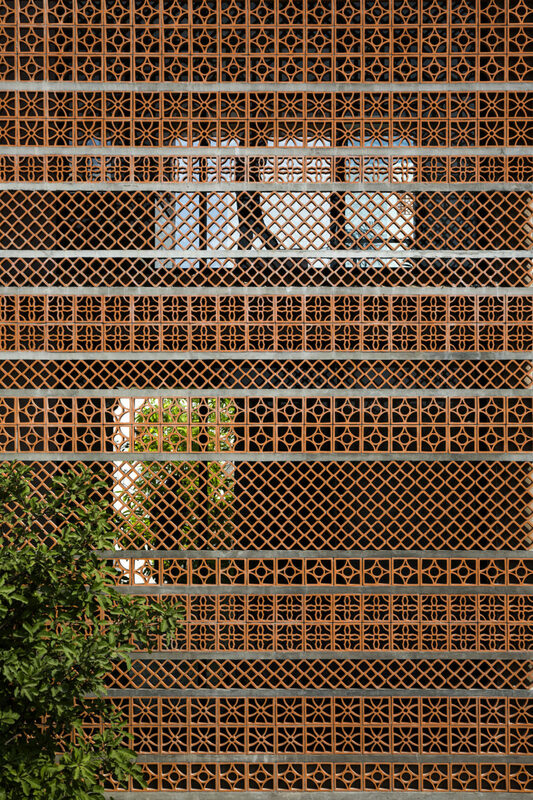 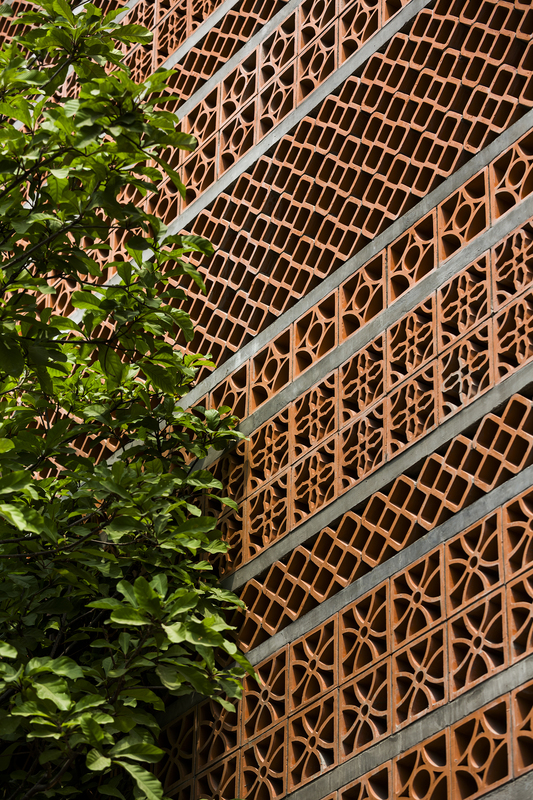 The terracotta screen block is very popular in Vietnam. 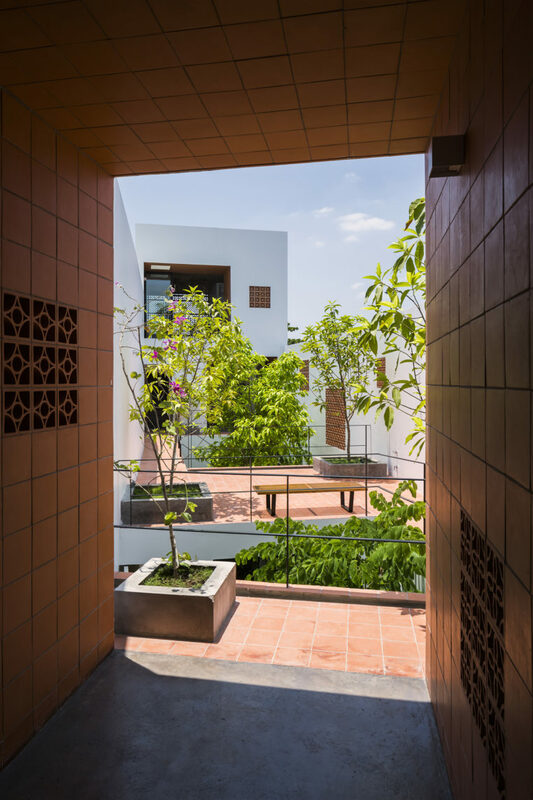 We combine different patterns of blocks, creating a characteristic Façade and outside space in the courtyard, which makes use of natural ventilation, passive cooling by shading, while simultaneously enhancing occupant security. 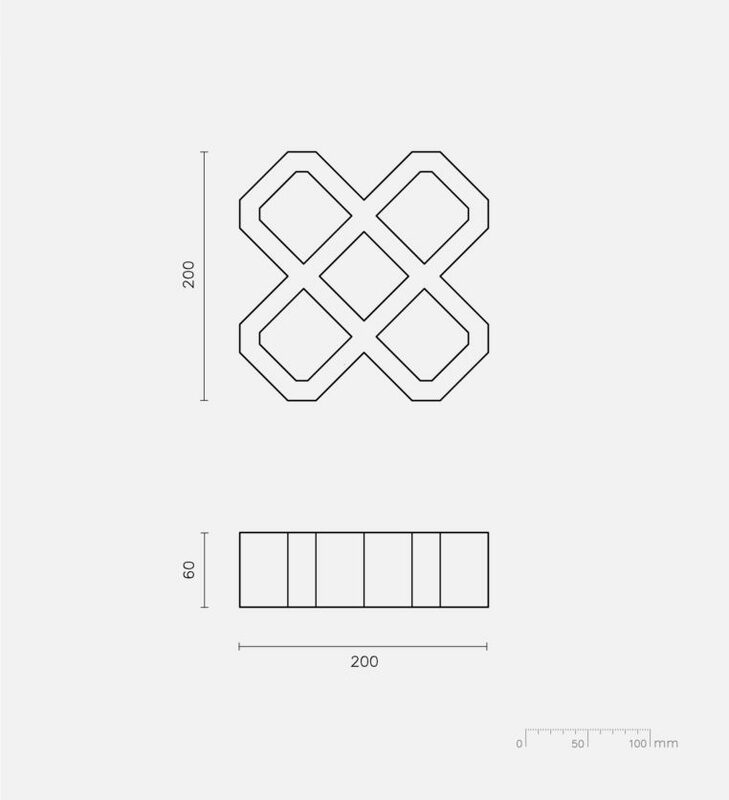 Structure Engineer: Tam Sau Mechanical and Contruction Co., Ltd.
ME Engineer: Technical Hung Viet Company Ltd.